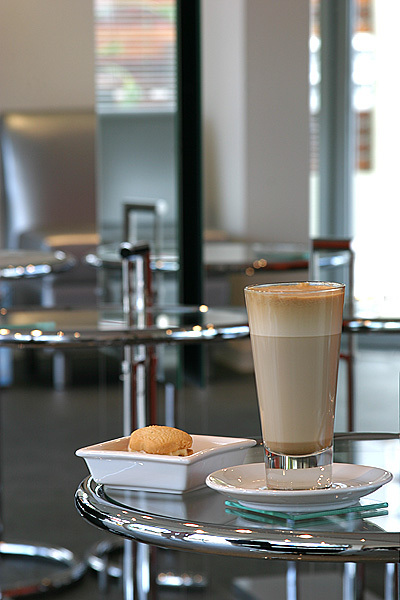 Verve Café has an assortment of delightful fresh beverage made to order! Verve Hair uses VIVO fresh coffee- a full-bodied, premium blend that celebrates the Italian passion for life! High grade beans, blended and roasted with love by the experts at Merlo Coffee, means that you will be able to taste the difference. Enjoy a short black, long black, flat white, latte, mocha or cappuccino. If coffee isn’t your thing, enjoy a frothy hot chocolate with fluffy marshmallows or an ice cold glass of orange juice. All non-alcoholic beverages are served with a sweet biscuit. For the evening and weekend appointments enjoy a glass of Chardonnay, Merlot or Light Beer, all served with salted peanuts.